If you own a mobile phone and live in the UK then there are a number of options you have with regards to your mobile phone. Most mobile phone claims which are also difficult to prove is the loss claim as these are not normally reported to the police. You can see a list of mobile phone insurance companies for the UK listed below. If you live in the US then there are US based insurance companies which you can contact for mobile insurance. Most home insurance coverage do not cover the smaller items in your home so you would normally need a separate policy for these. If you live in the US then you would have heard of Asuroin as they do mainly home insurance. They do however also offer mobile phone insurance mainly via the large network carriers. Asurion is an extremely popular phone insurer however they do not sell directly to the public. They will settle your claim based on replacement or repair and they do not cover certain claims such as damage caused attempting to repair or modify a device, or vermin. If the rat ate your phone its claim is not going to be settled. AT&T Mobile Insurance is $6.99 per month with the “insurance only” option, and covers the same loss incidents as every other Asurion plan (accidental damage, loss, theft, and post-warranty mechanical breakdown). Note that Asurion would be the underwriter or seller of the insurance via AT&T. They are mainly acting as the agent for the insurance sales. Sprint’s Total Equipment Protection plan is currently offered at either $8 or $11 a month, depending on what deductible tier your device is in. Note that much like AT&T they will cover mainly via Asurion as well as an agent for mobile phone or cell phone insurance. SquareTrade is well known and is not carrier based. They have low deductibles and there is a reason for this. They dont offer loss or theft cover. ($99 for pretty much any non-iPhone), simple coverage terms, and they’ll even give you a big discount if you buy a 2-year policy ($125) up front instead of going month to month ($7.99). 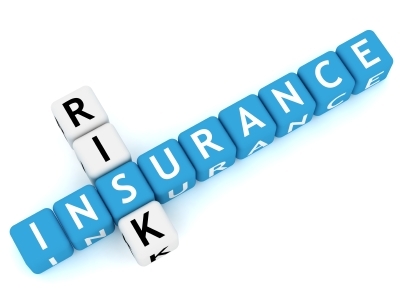 Check your existing insurance policies which you might have. Many have mobile phone coverage in their Geico Renters Insurance or home insurance. If you are going overseas then also check if there is coverage in your travel insurance for your mobile phone and other gadgets.